and Small Dogs Love It Too! Your pet will enjoy snuggling in this soft lush Milika Plush Cuddler pet bed fronm Zeez. 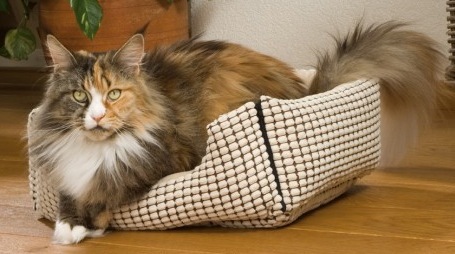 It's the perfect bed for 90% of cats, and it'sd great for small dogs too! Dimensions: approximately 48 x 37 x 20cm.